The user supplies finite element models for the definition of the structure and the aerodynamic model. Aerodynamic matrices are computed explicitly at each of the user-supplied Mach number and reduced frequency combinations. A modal analysis is always performed. Changes in the mass and stiffness matrices may be made subsequent to the modal analysis via DMIG Bulk Data entries. Control systems can be modeled using extra point, transfer function and DMIG inputs. The user can supply downwash vectors for extra point motions using the DMI matrices D1JE and D2JE. 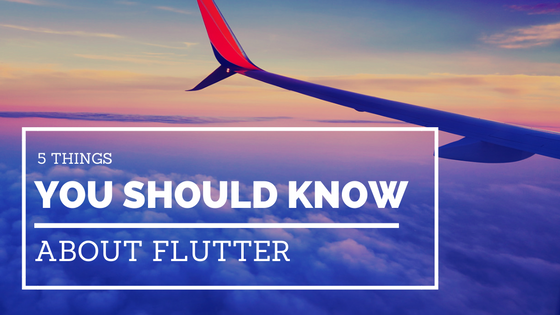 A flutter analysis is performed based on the parameters specified on the FLUTTER Bulk Data entry that is selected by the FMETHOD Case Control command. The K- and KE-methods compute flutter roots for user-specified values of density, Mach number and reduced frequency. The PK-method extracts these roots for user-specified values of density, Mach number and velocity. Multiple subcases can be specified. This enables the use of, e.g., different flutter solutions or multiple sets of DMIG information. A flutter summary is printed and (optionally) V-g and V-f plots are produced. Data recovery can be performed on the flutter eigenvectors produced for the K- and PK-flutter solutions. theory in the same aerodynamic model. You supply finite element models for the structure and the aerodynamics. Aerodynamic matrices, including gust loads, are computed at each of the user-specified Mach number and reduced frequency combinations. Frequency or time-dependent loading can be specified. Time varying loads are converted to the frequency domain using ad hoc Fourier transform techniques (see Dynamic Aeroelastic Analysis ). The excitation can be aerodynamic (such as gust loading), or external (such as mechanical loads representing store ejection or landing loads). The software always performs a modal analysis. Changes in the mass and stiffness matrices may be made subsequent to the modal analysis via DMIG Bulk Data entries. Control systems can be modeled using extra point, transfer function, and DMIG inputs. The user can supply downwash vectors for extra point motions using DMI matrices D1JE and D2JE. Basic computations are always performed in the frequency domain. If input is provided in the time domain, an inverse Fourier transform is used to provide output in the time domain. The modal participation type of data recovery is used. The internal loads or stresses are found in each mode and the response loads are found from the linear combination of the products of the loads in each mode and its amplitude. This method of internal load response calculation is called the â€œModal Displacement Methodâ€ in Bisplinghoff, Ashley, and Halfman (1955, pp 641-650). Output can be displacements (including velocities and accelerations), stresses, or constraint forces. XY-plots are available. Aerodynamic data (pressures and forces) are also available with frequency response analysis. Random response analysis obtains power spectral density, root mean square response, and mean frequency of zero crossings. The full range of static and flutter analysis capabilities of SOLs 144 and 145 are available in SOL 200. Sensitivity of analysis responses with respect to changes in properties of the structural finite element model can be computed. 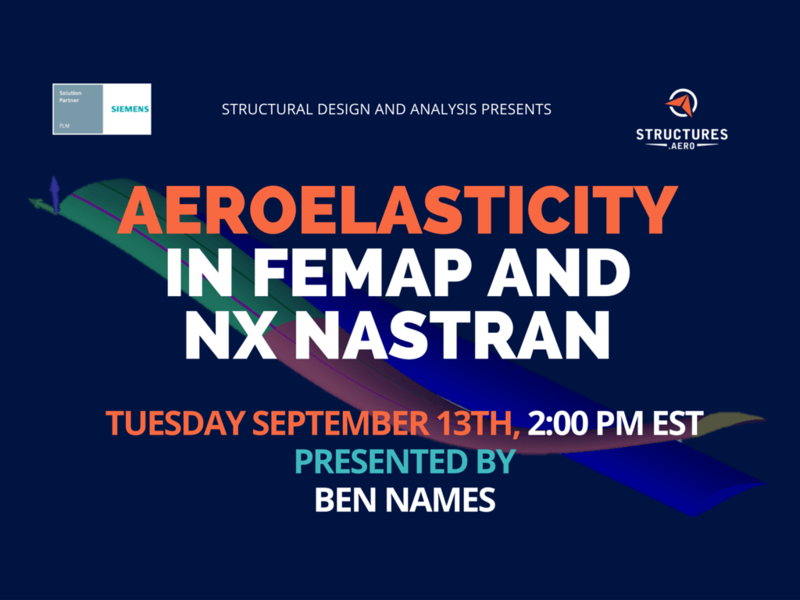 For static aeroelastic analyses, these responses include not only standard displacement and stress responses, but also sensitivities of stability derivatives and trim variables. For flutter, the sensitivity of the damping levels computed in a PK-flutter analysis are available. Multidisciplinary optimization enables the simultaneous consideration of responses from any number of disciplines in order to formulate a structural design that minimizes a user-defined quantity, such as vehicle weight, while satisfying imposed design conditions (e.g., requirements on stress, roll performance, and flutter stability). divergences capability is not available. For flutter, only the PK-method of analysis can be used in flutter design. This recording includes a demonstration of Aerodynamic Flutter. It is also covers the benefits of Aeroelastic tailoring and an example of static aeroelastic analysis.